Please welcome to the Editor’s Q&A corner, Authors Publish Editor, Caitlin Jans. Caitlin tells us about writing for her publication, the pitches and topics that get her interest. payment details and more! Q: Can you tell us about Authors Publish and the content you publish? A: Authors Publish is a weekly magazine that publishes one review of a literary journal, one review of a manuscript publisher that accepts unsolicited submissions, and one general interest article on writing, publishing, or promoting, once a week. We also publish the occasional special issue entirely focused on one aspect of writing and publishing, as well as a quarterly eBook. Authors Publish has over 50,000 subscribers. Q: What is your writing/editing background and role with Authors Publish? A: I founded Authors Publish three and a half years ago. Since then I have been the primary editor, although for a long time my husband’s name was on the masthead because I was also teaching at the college level, and I wanted to keep my two professional worlds separate. I have an MFA in creative writing from Sarah Lawrence. My poetry and articles have been published widely in literary journals, magazines, and anthologies. I was a reader and later an editor for a literary journal and a small press. I have been a submission consultant and a content editor. Q: Obviously your readers are writers. Is there anything else you can tell us about your demographic so that potential contributors know who they will be writing for? A: Our demographic is all over the place. 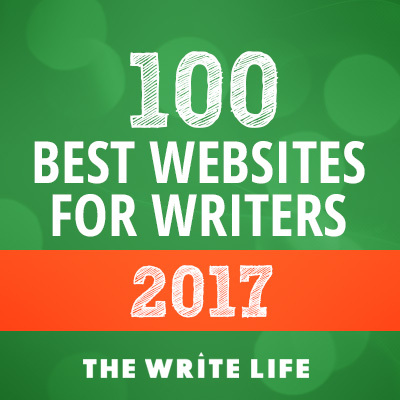 Our subscriber list includes new writers, NYT bestselling authors, high school students, retirees, award winning writers, stay at home moms, self-published authors, so pretty much the whole gamut. Most of our subscribers are female though. Q: You accept pitches or completed pieces at submissions@authorspublish.com. What are you looking for in a pitch? I receive a lot of pitches by writers who haven’t read anything we have published and it always shows. I think the best thing a writer could do is read one of our most popular articles before submitting their pitch. Because of that there are links to several of our most popular articles in our full submission guidelines. Q: Your submission guidelines state that you don’t take reprints. For the original submissions you do accept, what topics are you particularly interested in. A: We are particularly interested in work that takes an original approach to something that is talked about a lot. We also appreciate interviews with writers, editors, and publishers on specific topics. For example: Three Agents talk about what they are looking for in a good query letter. 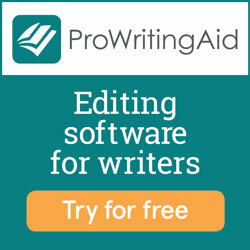 We are always interested in articles about new platforms for authors or new editing software. As noted (but often overlooked) in our submission guidelines we publish manuscript and literary journal reviews but only from established contributors, we do not accept unsolicited submissions in these categories. Q: Can you provide links to a few pieces on your site that potential contributors can look as great examples of articles your audience has loved? A: We respond quickly to all legitimate submissions. Three weeks is the maximum anyone has had to wait when we are open to submissions. We are no longer responding to submissions that do not fit our guidelines. So we no longer respond to submissions of creative writing or writing outside of the genre we publish (for example a political essay or an essay about hair maintenance). About 50% of the submissions we receive are in the field outside of writing and publishing. Q: You do pay for accepted work. What can you tell us about rates? A: We pay between 25 and 30 dollars for most articles. Occasionally the author of an article that does really well, will receive an additional bonus after the publication. We pay 75 dollars for an article that we could send out on its own as a special issue. We pay up to 500 dollars for eBooks. We are based in Bellingham, Washington. Our office is a studio in our back yard, which does not sound glamorous, but it does allow us to spend any breaks we have with our 1 year old daughter. About half of the authors we publish are based outside of the US. Q: As far as rights go, are contributors able to republish something you have published in the future, and if so, do you have any requests as far as that goes (timing, attribution etc.). A: They can republish work but only with attribution and permission after six months have passed. With eBooks we retain the rights. Q: What’s next for Authors Publish? A: Nothing dramatically new. Although most of the major changes that have taken place are not something we talk about in advance. Our next eBook will be the second edition of our popular writer’s prompts eBook. We are about to hit 200 issues, which is exciting.